As the school year begins to wind down, you might be wondering how to keep your yearbook committee occupied once the book is finalized. After all, isn’t all of the work done, outside of distributing the publication to the masses? In some ways, yes–which means you can all breathe a sigh of relief and relax. But it doesn’t mean that there’s nothing left to do this school year! 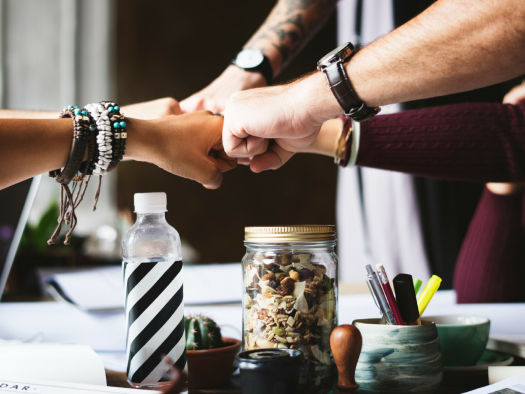 Below, I’ll walk you through the three things you should consider doing with your committee before the end of the year, from prepping for next fall to ensuring no great idea gets left in the dust. As your yearbook committee worked to implement all of your fabulous ideas this year, they built out some awesome content. They also had some serious learning experiences along the way that contributed to making your publication great. Once you send your book to print, set aside a day or two to talk with your committee about what went really well, and what challenges they encountered. Outline the steps they took to make their role within the yearbook committee efficient, and how they worked well with the group as a whole. 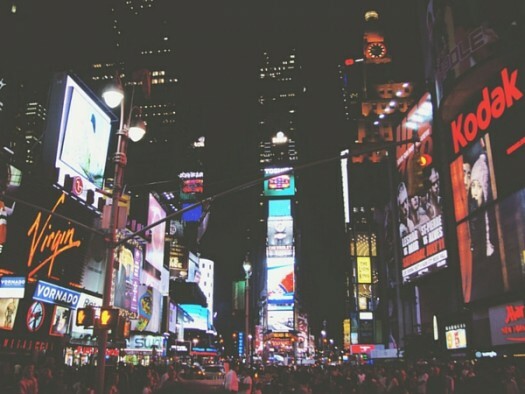 Focus on what they did to overcome challenges, and how you can utilize these ideas to help the yearbook committee start off on the right foot next fall. From concepts that weren’t implemented properly to inconsistencies with project management, this is a great way to learn more about what your committee’s experience was throughout the year, and how you can take your team, yourself, and your publication to the next level in the future. With all the brainstorming you did with your team, there are sure to be some leftover ideas that could be totally workable within next year’s book! Work with your yearbook committee to build out a list of these concepts in Google Docs, along with a brief description of how you see each one being executed. This will add context to jog your memory next fall, if the concept sounds a little nebulous in nature. Make a note about this document on your calendar for the fall. This will remind you of your pre-prepped ideas, and ensure that you remember to use them in your first brainstorming session next year! We all know that the first month of school is one of the most hectic of the year. The best thing you can do to make this month run smoothly is be totally prepared in advance. Which makes right now the perfect time to lay out your first month of activities for when classes resume in the fall! This allows you to plan the rest of the year’s activities when school starts. Work with your yearbook committee to create a timeline based on the successes you had this year. Outline what features should be started right off the bat, and when you need to have your theme determined by. 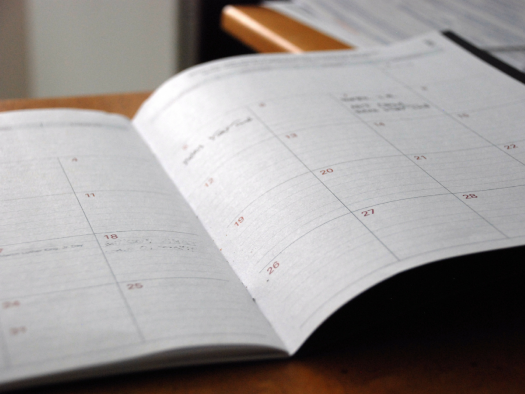 Set up a full schedule for your first month of meetings. This gets you super organized to immediately get next year’s committee focused and on track. 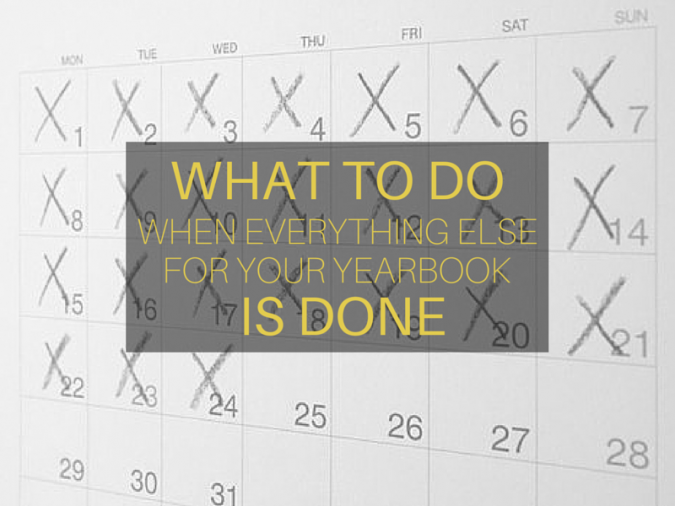 After you’ve completed these three end-of-year tasks, it’s important to take some time to have a little fun–and celebrate all of the hard work your yearbook committee put in this year! Plan a fun ice cream sundae party to show your committee how much you appreciate their hard work. You could even move your class outside to enjoy your sundaes with a little fresh air, to boot! Whatever you choose to do, setting aside some fun downtime will make your committee feel totally loved and appreciated. Plus, ending the year on a positive note prepares everyone to come back in the fall ready to make the yearbook committee even more awesome than it was before!